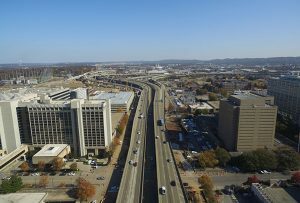 A portion of Interstate 59/20 through downtown Birmingham will close due to construction on Jan. 21. The closure will affect traffic flow to several landmarks the UA community uses, including Birmingham-Shuttlesworth International Airport. The Alabama Department of Transportation recommends the following detours through downtown Birmingham that go around the construction zone during the closure, which is anticipated to last 14 months. Use caution when using some GPS systems as they may not be updated to reflect the closures. For more information on the construction project and alternative routes, visit www.5920bridge.com. The University of Alabama is a leader among public universities nationwide in the enrollment of National Merit Scholars with more than 600 currently enrolled.